A few weeks ago when my Mom and I were out at garage sales, we came across this chair. My Mom immediately grabbed it. It reminder her of a chair my Dad had. He had a chair similar to this growing up. It was in our house until my Dad died almost 13 years ago. We then had an auction sale. One of the thousands of things sold was this chair. It was one thing my Mom spoke of that she wished she hadn’t sold. The chair wasn’t in the best shape, it was loose and the finish was awful. I told Mom to buy it, and I would redo it for her. 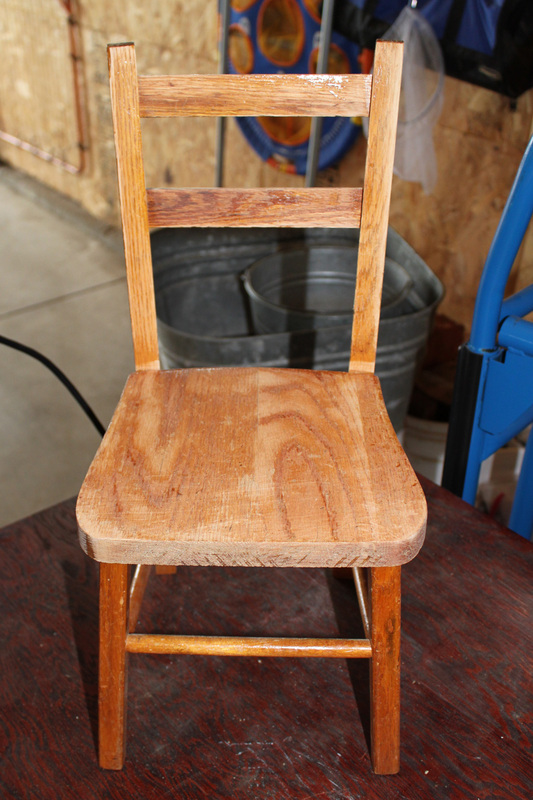 She just wanted it to be sanded and restained…a little less yellow but not too dark. I had my son sand it down. I then filled a couple of holes. I stained it Minwax Early American. My husband helped to tighten it up. We even replaced the yucky old screws that were in the back. So here it is. I can’t wait to get it to her. Hope she likes it. 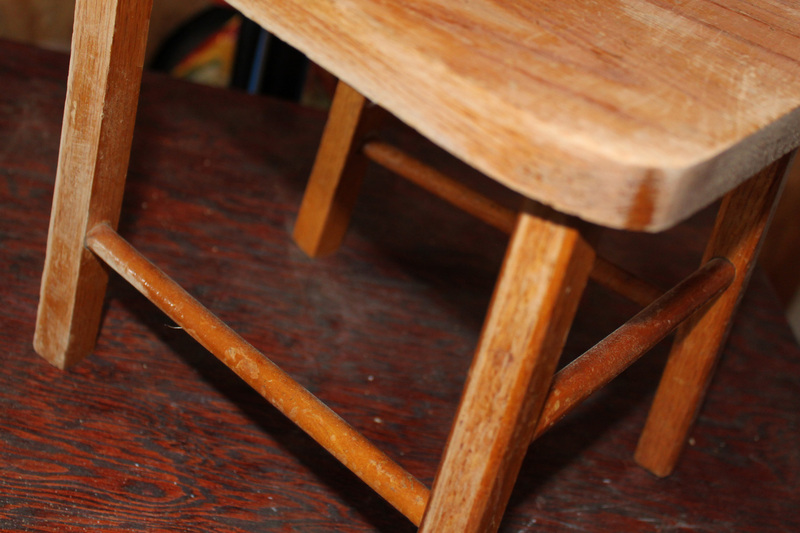 This entry was posted in Childhood Memories, Furniture, Garage Sale Finds and tagged Furniture by Karen Grosz. Bookmark the permalink. Now we know whom to contact for our creaking chair 😉 Kidding.. Great job, indeed..
Ha, Thanks. It really is fun to see something renewed. Awesome! Mom will be tickled!! Yes, I do remember that chair growing up and I don’t know if I have ever told you this but I periodically get to see that chair as my sister-in-law purchased it at our auction sale. So each and every time I visit her I’m reminded of our Dad. Your sis………..
You are lucky. 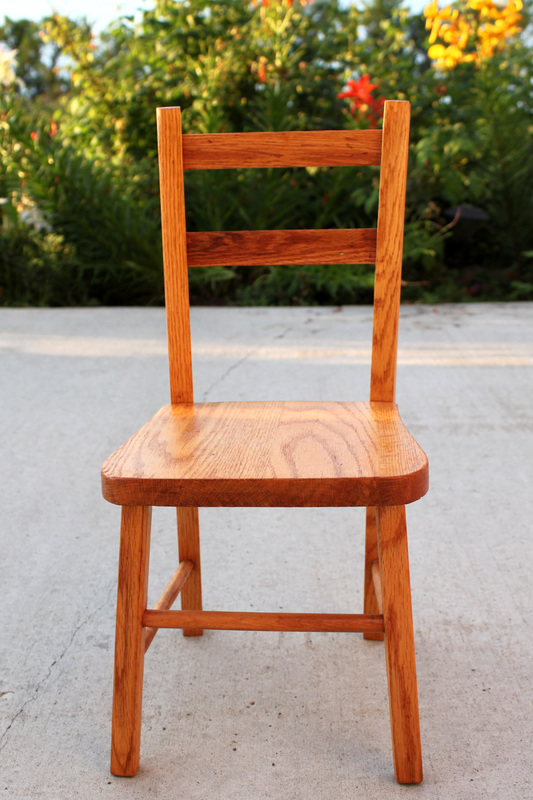 Now you will get to see the chair, twice as often. Did she do anything with the chair? Thanks. Can’t wait to get it to my Mom.